Within 40 years, that sentiment became a reality with the country’s interstate highway system, ribbons of road stretching from coast to coast and border to border that have — for better or worse — transformed the country and the lives of the people who live in it. Now, a century after that 62-day cross-country slog, at least two caravans will retrace the steps of Ike and the nearly 300 other men who took part in the expedition. As Capt. William Greany of the Army’s Motor Transport Corps wrote in his report of the expedition, the point of the trip was, essentially, to field-test a number of vehicles developed for use in World War I “and to determine by actual experience the possibility and the problems involved in moving an army across the continent.” A good mix of vehicles constituted the convoy: 34 heavy cargo trucks, four light delivery trucks, eight touring cars, a reconnaissance car, nine motorcycles with and without sidecars, a wrecker, and a handful of support trucks and trailers built by a variety of truckmakers including Mack, GMC, F.W.D., Militor, White, Packard, and Riker. The Army decided to use the privately funded Lincoln Highway — Carl Fisher’s second grand idea after the Indianapolis Motor Speedway, officially dedicated just six years prior — for the transcontinental route, but as Greany pointed out “at the time (the highway) existed largely in the imagination and on paper.” The expedition set out in early July from Washington and relied on a network of pre-existing highways and roads that, though paved, were often too narrow for the oversized trucks. Somewhere around Illinois the pavement gave way to dirt roads. Then in Nebraska the roads gave way to sandy, muddy, rutted trails. The convoy even had to negotiate the Donner Pass before descending into California. Photo courtesy the Eisenhower Archive. The Militor, with its winch and spade, had plenty of opportunity to show off its ability to extricate trucks that had become mired in mud or that had slipped off the road, and Eisenhower had praise for many of the lighter vehicles. 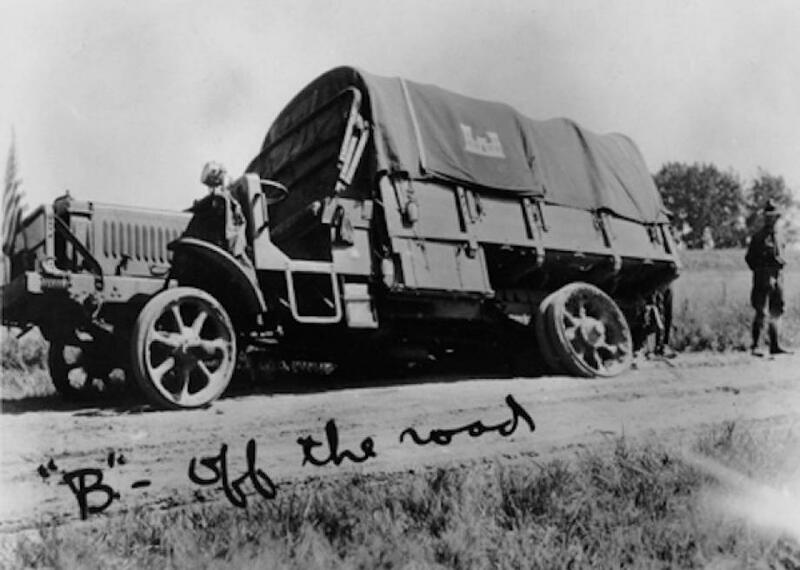 He cautioned multiple times in his report not to include both light and heavy vehicles in future convoys, but his biggest takeaway from the expedition — which reached San Francisco in early September after covering 3,251 miles — focused on the creation and maintenance of paved highways for efficient military transportation. Combined with his observations of Germany’s Autobahn during World War II, Eisenhower drew from his experience on the 1919 expedition to champion the creation of the Interstate Highway System while president, a push that resulted in the Federal Aid Highway Act of 1956. Though it doesn’t precisely follow the Lincoln Highway, Interstate 80 in many places approximates or even replaces the original highway. With the centennial of the Army’s expedition coming up, two groups have planned convoys of their own. 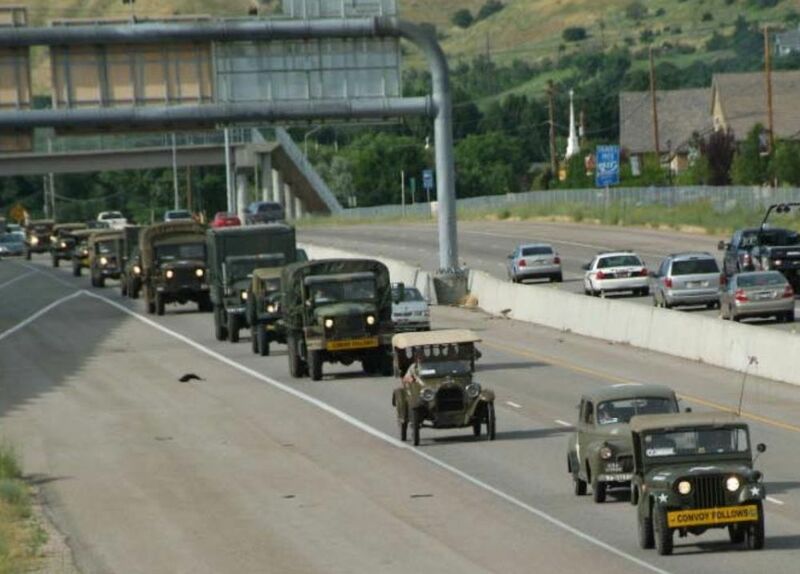 The first, the Military Vehicle Preservation Association’s 2019 caravan, will depart the MVPA’s annual convention in York, Pennsylvania, on August 10 and end up in San Francisco September 14 (this will be the MVPA’s second to trace the path of the Transcontinental Army Motor Transport Expedition, after its 2009 convoy). The second 2019 cross-country trip, the Lincoln Highway Association’s Centennial Tour, will be open to military and civilian vehicles alike, and will depart Washington, D.C., on August 30 and wind up in San Francisco on September 16. For more information about the tours, visit MVPA.org and LincolnHighwayAssoc.org.